Weeds thrive in areas that are their native home because they don’t have diseases, insects, animals and other predatory forces to help control them. If action isn’t taken, weeds can change the structure of local ecosystems by displacing native plants. To home gardeners, they’re mostly a nuisance that needs to be dealt with on a frequent basis. It is next to impossible to have a weed-free garden, but keeping them at bay is of the utmost importance for keeping plants healthy (weeds strip the soil of nutrients and water) as well as a tidy garden appearance. Many of these weeds originate in lawns thanks to gardeners who don’t clean mower blades and other tools. If you’re tired of battling weeds, perhaps it’s time to consider artificial grass. Understanding what our common weeds are, how they spread and measures needed to prevent them are key to your success. 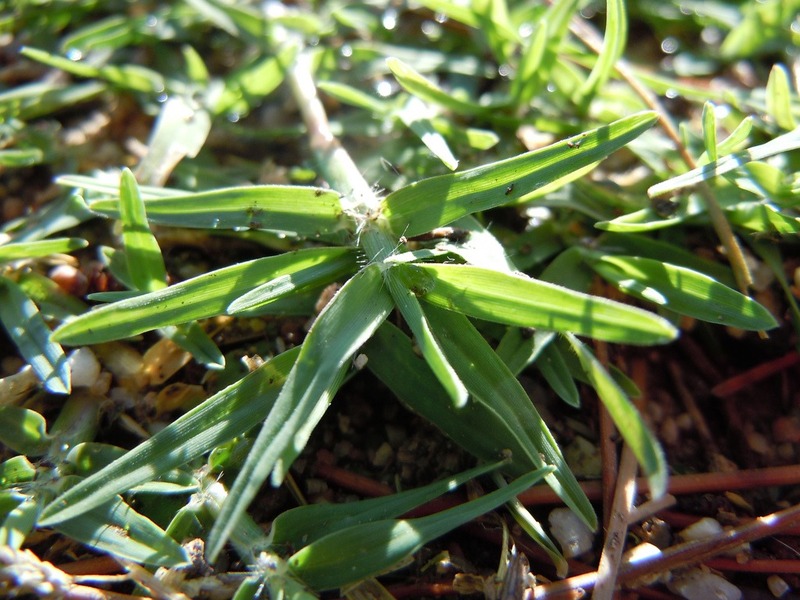 We have tips below for fighting five of the many weeds found in Southern California gardens. Kids love to blow seeds off of dandelion globes but the reality is that doing so causes this weed to spread. Dandelions typically appear in lawns. Why they appear: Healthy lawns can usually outcompete dandelions so their appearance means that a lawn is thin and undernourished. 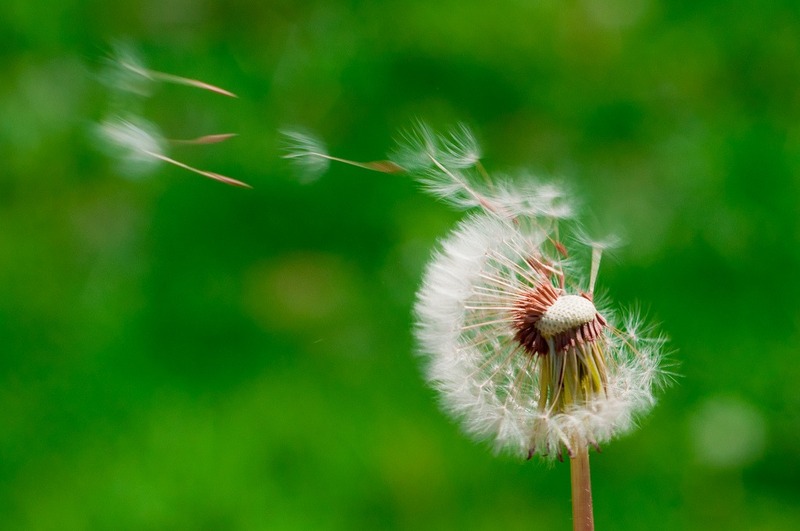 Solution: Pull the dandelions while they’re small before they set a deep taproot and seed. (The yellow flower appears before the fluffy globe of seeds.) New plants will sprout from even the smallest remnant of taproot to its important to yank the entire taproot out. Manual tools like a forked blade work most effectively. Overseed the lawn to encourage growth in bare spots and then make sure it is fertilized, watered and mowed properly. This weed forms a dense low-growing mat incredibly quickly and is a problem for our state’s crops. The dark leaves have a red spot in the center and little pink flowers form on the branches. Spotted spurge also emits a milky sap that is a skin irritant and can be toxic to animals. Why it appears: It’s aggressive because of an ability to produce huge quantities of seed quickly after germination. And, the seeds germinate immediately so getting on top of this weed immediately is key. Solution: Pull spotted spurge out immediately. Because spurges spread so quickly the best solution is actually prevention. Make sure to clean garden tools regularly and use mulch to prevent weeds from seeding. 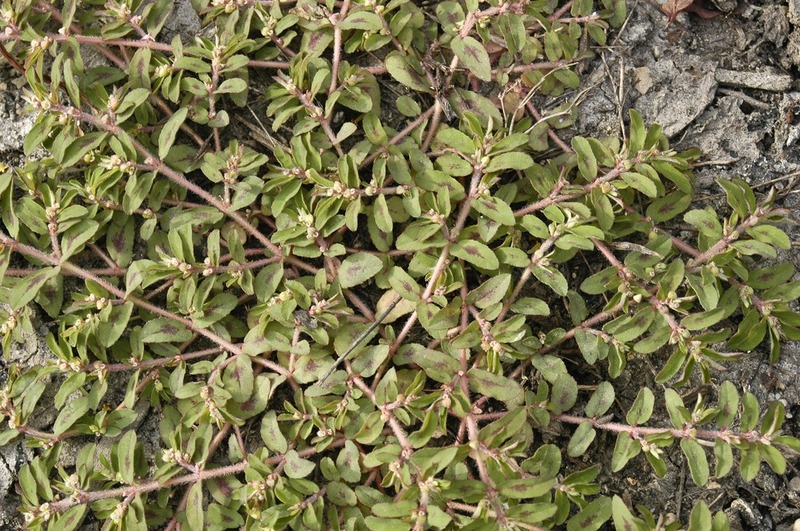 It can be incredibly problematic if spurge takes root in a lawn’s bare spots. If this happens try raising the mowing height to 2 inches so that its seeds are prevented from receiving sunlight they need to germinate. 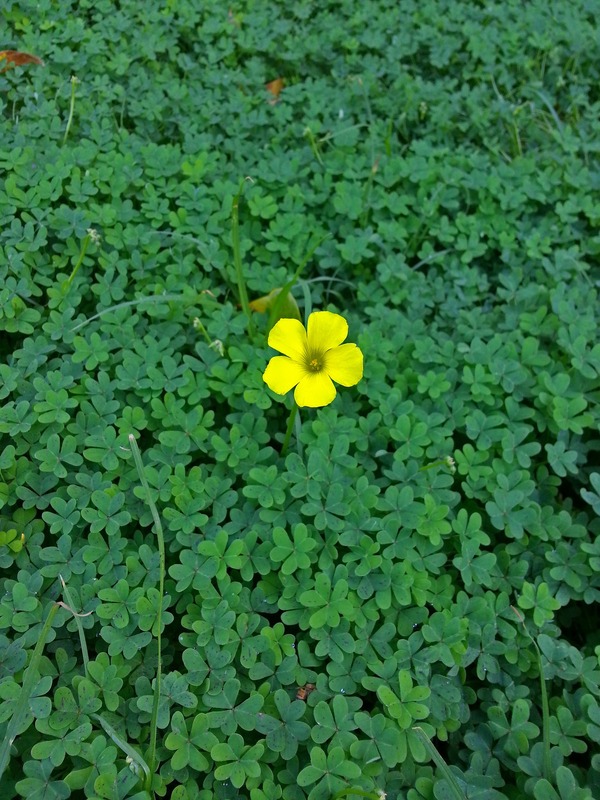 Oxalis pes-caprae has big, bright green clover-shaped leaves and sends up a yellow flower. It’s rather pretty but with a bulb so deep that it must be dug out otherwise it will keep growing back. Oxalis corniculata spreads by above-ground runners that root as the weed grows. Oxalis corniculata atropurpurea, grows in a more compact form and can be tough to spot in the dirt because of its purple-colored leaves. Why they appear: Seeds literally explode out of this weed’s pods. Sometimes it happens with even the gentlest touch. And, they’ll set in even the smallest spot of dirt whether its in share or sunshine. Solution: When purchasing potted plants at the nursery, be sure that they are clover-free as this is one of the most common ways they enter gardens. While you can use herbicides on clover, it’s important to remember that it won’t kills their incredibly tough seeds. The best way to tackle clover is by hand while making sure to extract the entire root system. Clovers also have a deep taproot that has to come out so simply pulling off the leaves isn’t going to do a thing. Bermuda grass is planted as a lawn in warm climates but it needs a very deep barrier to keep it contained. If you have the misfortune of having it in your lawn, your options, unfortunately, aren’t great. Why it appears: This is a weed that is very difficult to control in lawns because it spreads by underground stems, runners above ground and by seed. Solution: Dig up clumps of Bermuda grass before it forms sod including all underground stems as any remaining can sprout new shoots. You’ll likely need to repeatedly dig it out until the problem is at bay. It’s so tough that it can even grow through most landscape fabric. Using clean tools is key. If the problem is too big to dig, most people strip their lawn and cover it with cardboard, landscape fabric or other material to either bake the remaining roots to death or simply smother it out of existence. This is why so many homeowners turn to herbicides like Round-up. While not an ideal solution, herbicides do kill it with repeat applications. These little tufts of grass can appear anywhere but are a golf course owner’s nightmare. They love to inch their way in between low-cut grass blades and choke out existing lawns. Why it appears: Its blades are covered in seeds that are carried by insects, mower blades, pets and probably you to other parts of the yard. Solution: Here’s another one to manually weed before it seeds. If it’s appearing in your lawn, it might be because it’s being cut too short. Try a longer mow so that the seeds don’t receive the amount of necessary light. You will likely need to consider an herbicide to fully control it. Ask your gardener if he cleans mower blades between houses. 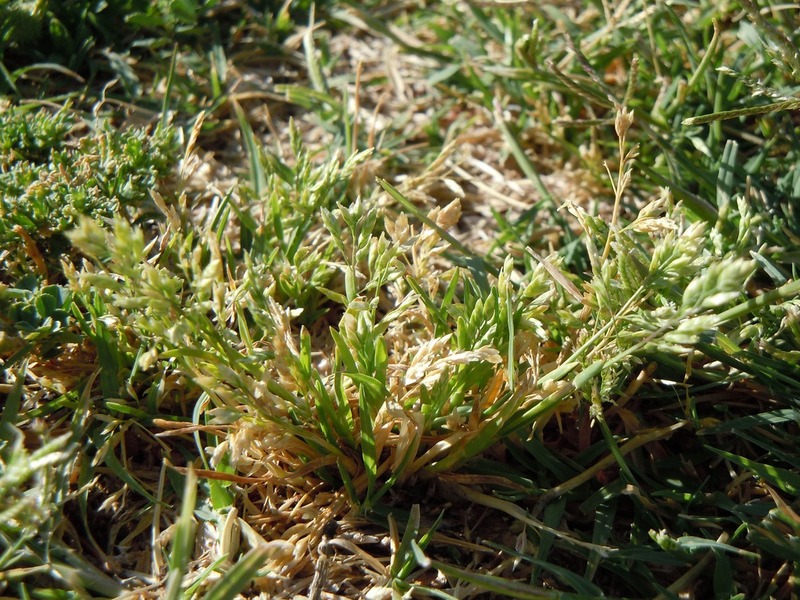 The answer is usually no, but again it’s a big reason why weeds seed in lawns and elsewhere around the house. Consider replacing your lawn. If you need to identify a particularly troublesome weed, UC Davis maintains a photo database with information regarding weed growing habits and how to get rid of them.